I have one of these devices, I was wondering if anyone knows what the removable knob to the right is for? the back is also removable. 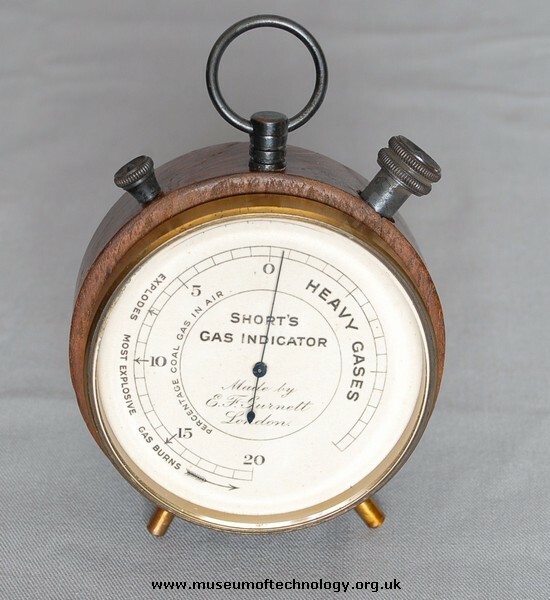 This is an early form of 'explosimeter' to indicate the hazard arising from a gas leak, particularly in a street excavation or in the basement or a room of a building. Normally, of course, gas would not be present in such locations.